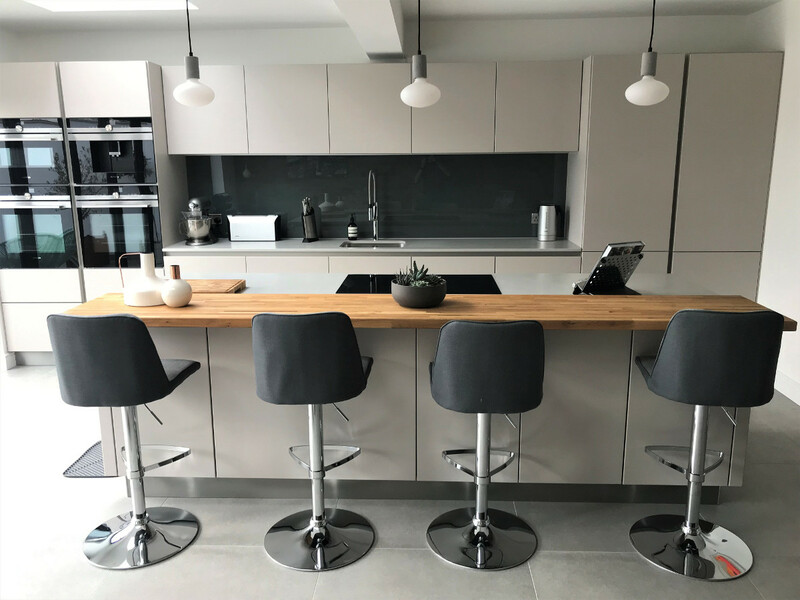 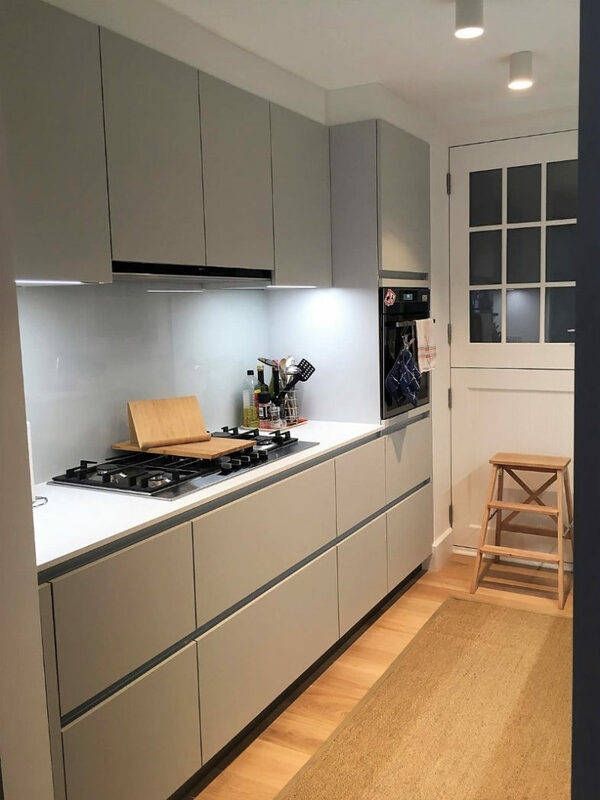 ‘Floating’ kitchen images from Thomas one of our local customers, thank you Thomas, and thank you also to Lewis our designer and Adrian the fitter. 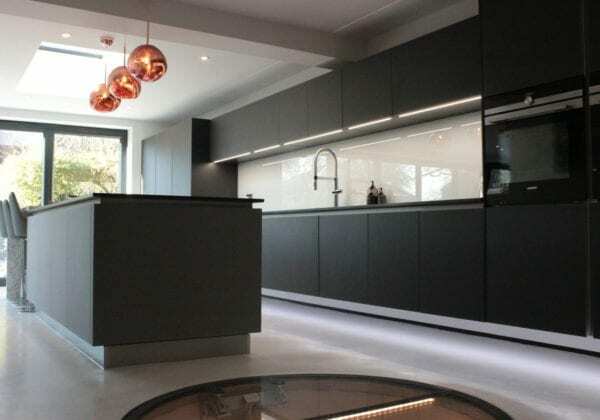 With ‘floating’ kitchens the units are raised from the floor and fixed to the wall creating a unique impression of weightlessness. 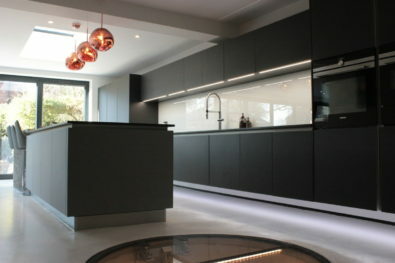 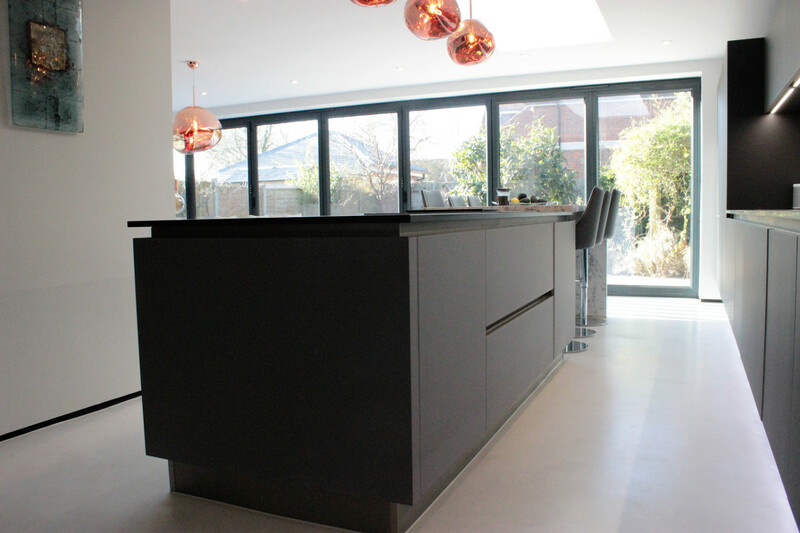 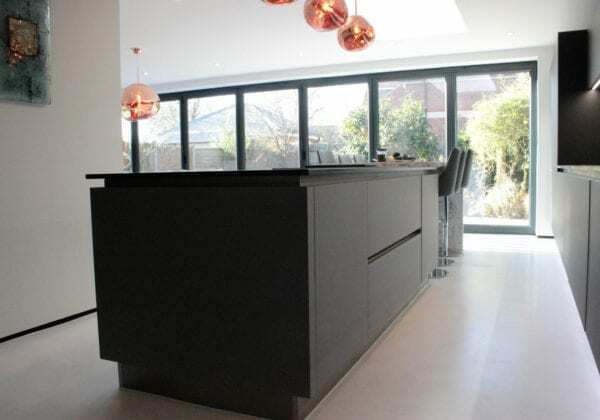 Two colours used, both glass fronted doors with Lava black matt against the wall and Agate grey for the island.